Irfan Kasban, an interdisciplinary artist who enjoys crafting multi-layered performances stemming from issues that resonates with him. As a playwright-director with 10 years of experience, he has explored themes of faith, marginalisation, displacement and sovereignty. Irfan gravitates to performance forms that are site-specific, physical, textual and character driven. In recent years, he has taken an interest to film, music, myth, folklore, anthropology, and culture—shifting energies from the structures of traditional theatre. He hopes to celebrate space and time, by creating intricate universes within his lifetime. 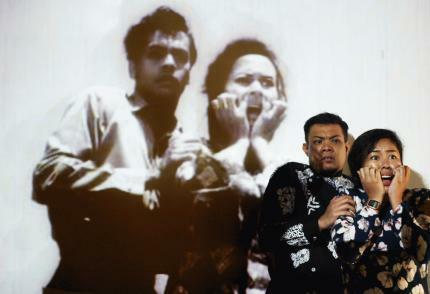 Irfan is currently working on a performance based on Sun Tzu's Art of War, as Associate Artist at Teater Ekamatra.